Artefact Description Plain seated hall chairs. Sabre legs. Shell backs with an engraving of a stag which is the insignia of the family of Corn Wallis. Good condition. There are six chairs in total. History of Artefact The chairs belonged to Admiral Corn Wallis. 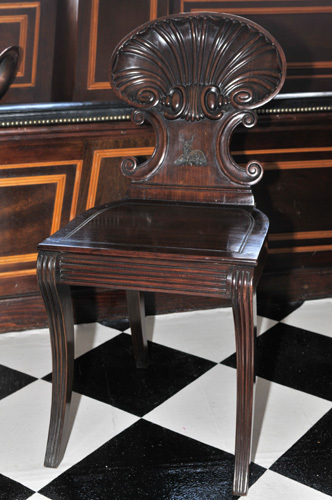 They are Hall chairs originally for footmen. They were probably put on the ship because they were relatively cheap to buy. They were sent to Victory to be given to Corn Wallis because this was going to be his flagship. Nelson came to join the ship because Corn Wallis wasn’t ready. 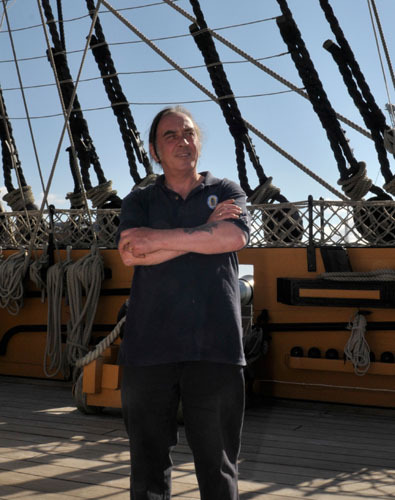 The Victory sailed from Portsmouth with his chairs and personal belongings on it.